A picture of the judging from Encore’s art show last September. The event is being moved up to July for 2019, with entries now being accepted. See story for details. Encore! Mt. Morris’s second gallery show of the 2019 season will be held July 3-31 in the Old Sandstone Gallery on the Mt. Morris uptown campus. Artists are invited to enter the show at this time; deadline for applications is June 1. This juried show invites 2D or 3D original art of all kinds, with a “Road Not Taken” theme. Artists may submit one to three images of their original works for consideration. Artists must be 18 years old or older. Only those images received by the deadline will be considered. Applications are available online at encoremtmorris.com. Click on the “July Art Show 2019” button. You may fill out the application online (preferred; attach your digital pictures and entry fee) or print the application and send your packet and check to the Village Hall, 105 W. Lincoln St., Mt Morris. Additional printed applications are available at the Village Hall for those without Internet access. A jury will select those pieces to be included in the show and judges will select the awards, which will be announced on opening night July 5. Other art shows this summer include the Student Art Show (K-12, June) and the Airbrush Art Show (August). More details on the Airbrush show will be published soon. Deadline for applications for the August show will be July 5. Questions? See more details on the encoremtmorris.com web site, contact mollyb@encoremtmorris.com or leave a message at Village Hall and someone will get back to you. Encore! Mt. Morris is composed of volunteers committed to developing Mt. 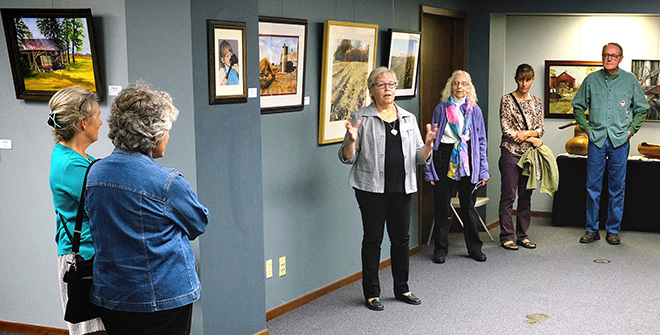 Morris into a unique, thriving rural and cultural arts destination in northwest Illinois. Volunteers and donations are welcome. Learn more at EncoreMtMorris.com.